Can I tell you my biggest fear? It’s being a constant outsider, shunned by my own people. This happens when I try to explain that writing is a proper job. I see everyone’s eyes rolling up. It happens too when I refuse an alcoholic drink at a party. I hear scoffs about how boring sober people are. It happens every time I declare myself a vegetarian. And when it happens at a barbecue, it’s as if I bomb shelled the entire home of the host where I’ve just been invited for a celebration of some kind. So, how can a vegetarian survive in a meat-obsessed country? And when I say survive, I don’t only mean finding food to eat. Because eating is not only about nourishing our bodies: making wise food choices, putting calories in, and churning energy out. Eating is a social ritual. Whoever shares food at the table, shares in the sentiment – that almost palpable vibe that stretches from the table’s centrepiece to each plate. I’m talking about the feeling of belonging. Of being part of the celebration. Of being an insider. Now, how on Earth do you belong to a barbecue cookout if you refuse all those sizzling pork chops, kebabs and sausages soaking up the fragrant wood fire smoke? 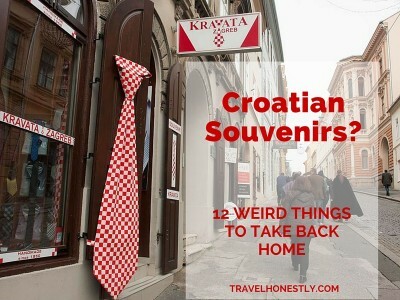 How do you share in a Croatian celebration that is typically sealed with a meat-all barbecue galore? It’s not an easy thing. It requires patience, tolerance and wit. And when you learn how to do it, you’ll be thanking your carnivorous tribe for putting you through the challenge. The line of progress moves in strange ways. In today’s world, eating meat on a daily basis is not sustainable. The mass feeding of animals and the mass production of meat is seriously damaging the Earth’s eco-balance. But 1.9 million years ago, when Homo erectus walked the savannahs of Africa, one small chop cooked on a live fire become a giant leap for mankind. In his book Catching Fire: How Cooking Made Us Human, Richard Wrangham explains how switching from the raw to the cooked diet allowed our ancestors to develop a larger brain – the crucial competitive edge for taming nature and thriving in it. Let’s face it, chewing on raw sinewy meat 6 hours a day wasn’t energy-efficient. Cooking food not only made it taste better, but it allowed the early humans to eat stuff they would have never been able to digest raw. The result? People starved less. And with less energy wasted, their brains were freed up to start marching to modernization. Inventing barbecue – this primordial cooking technique – also changed us aesthetically. If you wish – it made us prettier. Eating softer food made our teeth and jaw smaller and soon (over 100,000 years) we would lose our ancestors’ apelike look. If the invention of fire was revolutionary in protecting us from predators, live-fire cooking made us into real social creatures. The hearth, where food was cooked and shared, became the altar of the tribe where people gathered and joined the community. You guessed it – it was the way to be an insider. The sure way to surround yourself with friends. The best way to warm yourself up with feelings of inner comfort. So, if I owe my brains, my looks and my sense of belonging to that first grill master, it’s reason enough to try and fit in at a meat-all barbecue party. Even as a vegetarian. Let’s assume you want to do the same. You want to enjoy the food but you also want to avoid those eyes rolling at the mention of being a vegetarian. Most of all, you want to be a good guest, not someone who’ll never get a barbecue invitation again. 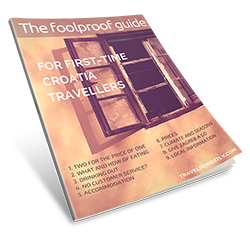 So, let me walk you through the Croatian barbecue culture. It’s all about how’s and why’s so that the meat-all menu doesn’t spoil your fun. Remember, you can enjoy a Croatian barbecue. Even as a vegetarian. Barbecue in Croatia is a seasonal thing. With the arrival of warm and sunny weather, Croats begin greasing up their grills. Celebrating the arrival of sunshine is a trait common to most cultures. For example, the English make the most of even the shyest ray of sunshine to do a countryside walk. Croats stay put in their backyards to grill meat. 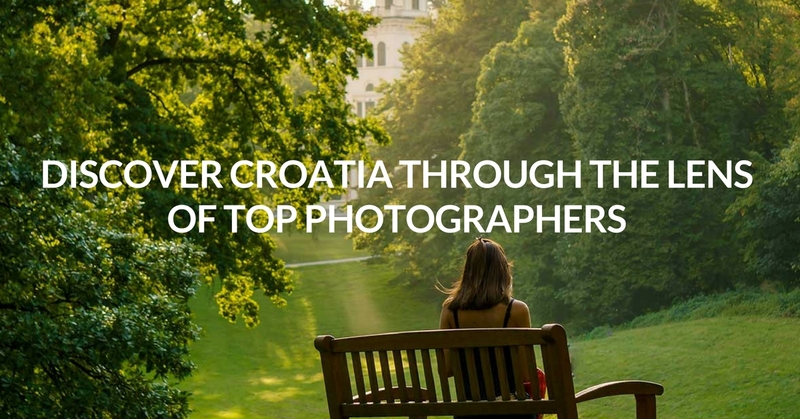 If you hear a Croat rejoicing at good weather, expect an invitation for a barbecue. Not a plan to enjoy nature. Grilled meat is a staple menu item in most Croatian restaurants. But partaking in a private barbecue party is something altogether different. 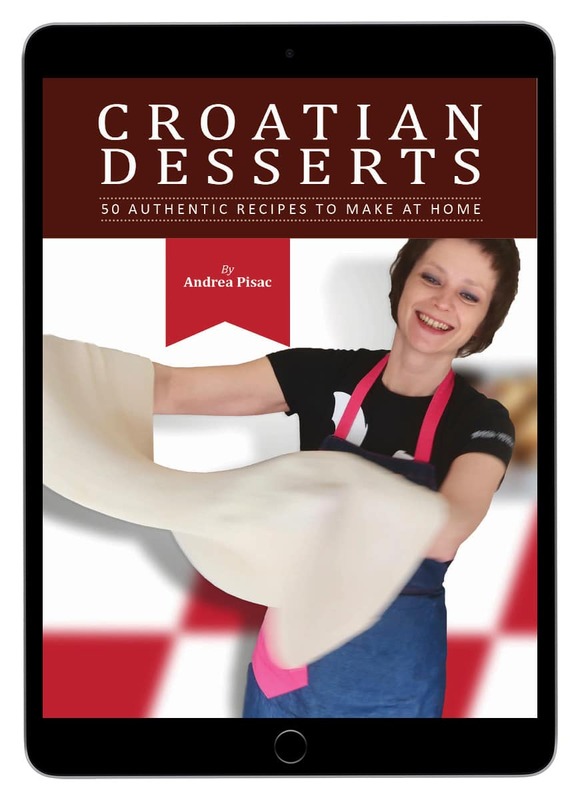 Croats grill for a small and intimate circle of family and friends. 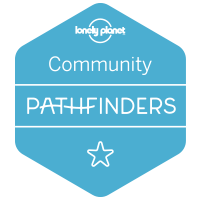 So, if you get invited, it’s a perfect way to become a member of that community. You might witness the following occasions: birthdays, anniversaries, First Communions and Confirmations, weekend family get-togethers or plain old ‘life is good’ sprees. Being invited to a Croatian barbecue means you get to feast on everything the host offers. Giving to the guests is a matter of pride and a display of prosperity. When a Croat hosts a BBQ party, whatever goes on the grill is a gift. Think of a barbecue party as the host’s performance of being able to care for their family’s livelihood. If you come from the ‘bring your own food’ culture and think chipping in is polite – stop your noble urge. You might send the message to the host that they’re not able to provide for the invitees. The only way around it is to bring a salad or a side dish. As long as you’re not messing with the BBQ menu, you’re OK.
It’s quite rare for a woman to play the role of a barbecue master. Watch the paterfamilias prowling around the grill as the wife offers a helping hand with dishes or BBQ utensils. This type of a grill master loves to elaborate on their barbecue technique. Stand close, watch them at work and you might get to sample the first piece as a reward. Other men won’t allow you near the barbecue pit. They’ll wait until women serve the table: salads, relishes, bread, drinks and other non-compulsory sides. Only then will they appear bringing their grilled prey on a large platter. If you’re a woman, you can boost your belonging by helping serve and clear the table. Men can take care of the drinks. Make sure the grill master always has cold beer at hand. 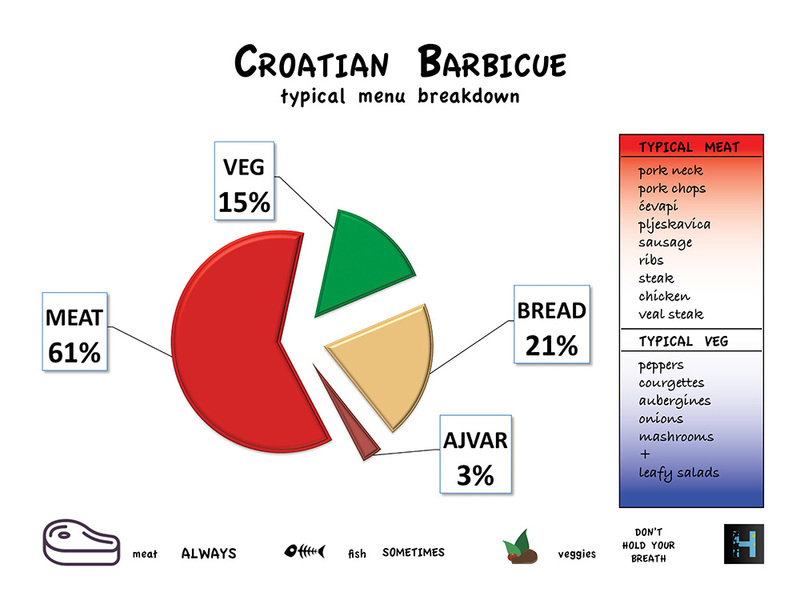 What about the Croatian BBQ menu? It’s mainly meat. And it’s mainly pork, with some chicken. There’s no vegetarian-dressing the fact. For Homo erectus, cooking meat was probably more revolutionary than cooking vegetables, which in most cases can be eaten raw. Grilling meat was also a clever way to use lower-quality and greasy cuts of the animal. 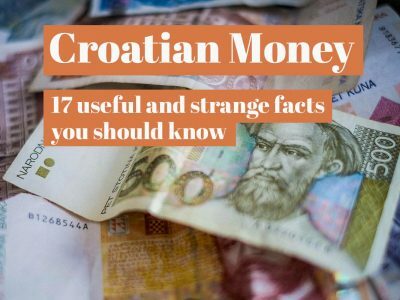 This is why you’ll see lots of ćevapi (finger-like kebabs), pljeskavica (Croatian burger) and sausages on the menu. All made with minced meat. The crucial question is: what can you actually eat as a vegetarian? At many BBQ parties, the grill master will round up with a few servings of vegetables. 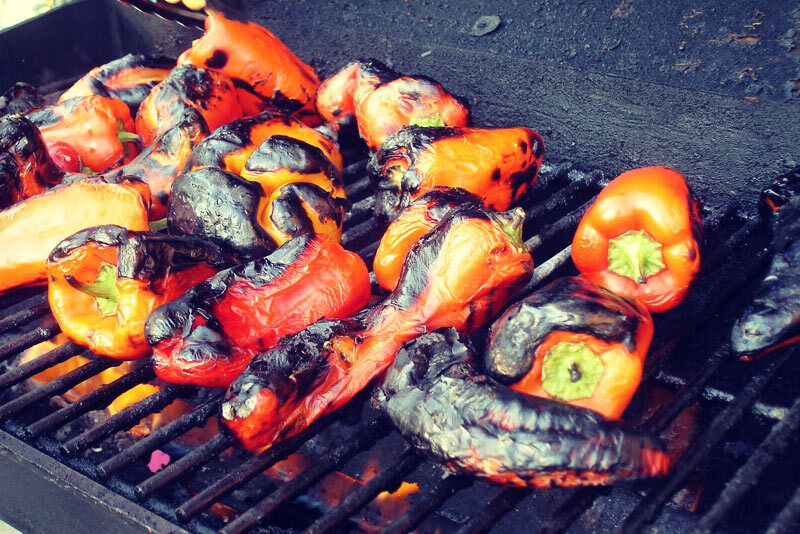 Often to use up the remaining embers, not necessarily because courgettes, aubergines and peppers are crucial for the barbecue celebration. But even so, this is your chance to pounce. 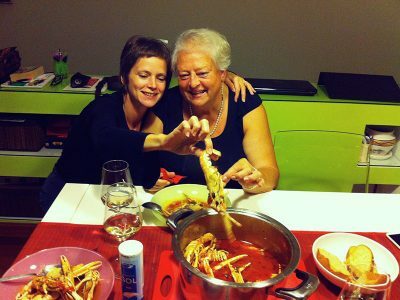 Pescatarians will fair much better in Croatia. 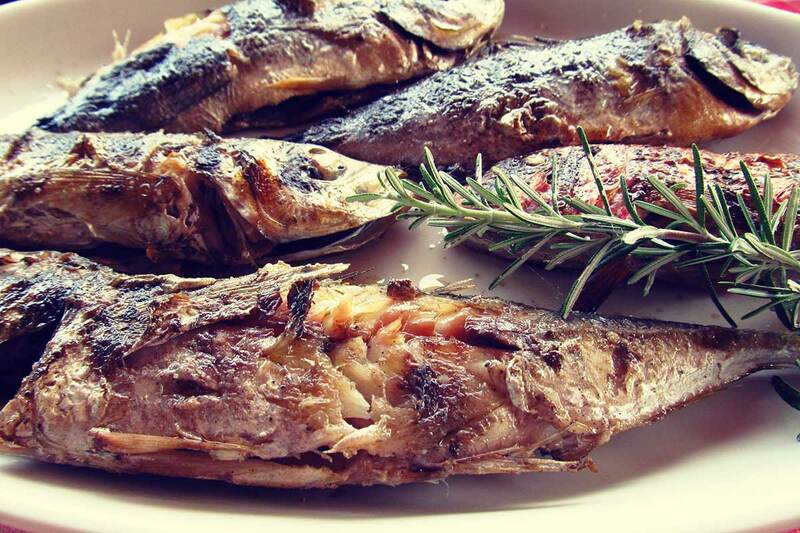 Grilled fish is a delicacy, but because good quality white fish is expensive, it’s barbecued less often. One thing is true, choosing fish over meat won’t cause the same amount of outrage as being a complete vegetarian! There’s nothing more heated at a Croatian BBQ party than the ‘fire talk’. If anyone challenges the type of barbecue wood used or the quality of fire, an avalanche of theories ensues. Here’s one that everyone seems to agree on. Best barbecue wood is hornbeam and beech. Firing a grill with vine branches is a speciality as it gives off a deep smoky flavour to food. But listen in on quarrels about how hot the embers need to be. Or what is thrown on the grill first: meat, fish or vegetables. Pick up any subtle clues that the wife is unhappy with how long the embers lasted. With my Mum and Dad, keeping the embers hot enough for veggies was a constant squabble. My Dad’s only concern was barbecuing enough meat. My Mum’s complaint was that the fire went out too quickly. In essence, the implication was that he hadn’t mastered what Homo erectus had 1.9 million years ago. You get my point. Join in ‘the fire talk’ and do some people watching. Is there any logic in that? No. 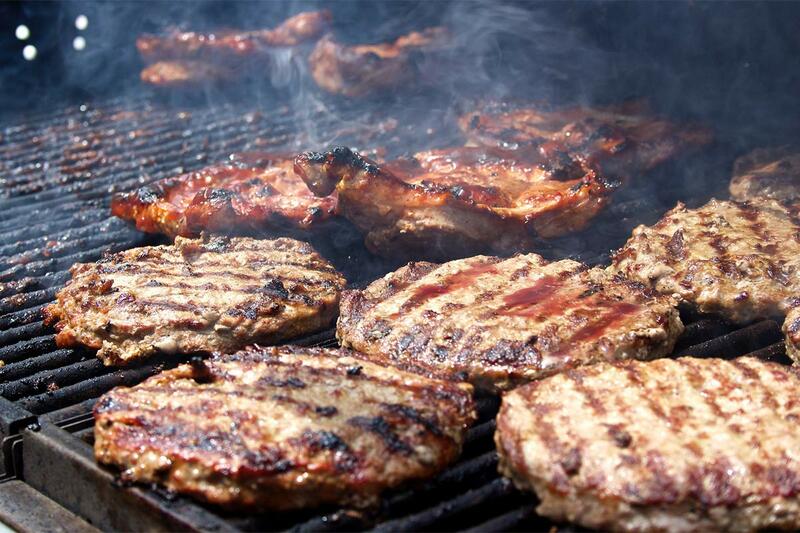 But remember this: beer is most commonly paired with the barbecue menu. If you don’t drink alcohol, or you don’t like beer, here’s you chance to contribute. Bring some soft drinks or sparkling water. It’s so low on the barbecue priority list, people often forget to buy it. There is always too much food at a Croatian barbecue cookout. Just looking at it fills you up. But when you finish your meal and feel like stretching your legs around the block – stop. The party is not over. Some people may slump in deckchairs, or even have a short kip. But most linger on at the table, with dirty dishes still sprawled in front of them. When the food goes cold and the bread has grown a tiny crust from staying in the open, it’s time for the seconds. Join this round when everyone reaches for just another bite with their fingers. Still, do pace yourself because the dessert is coming. 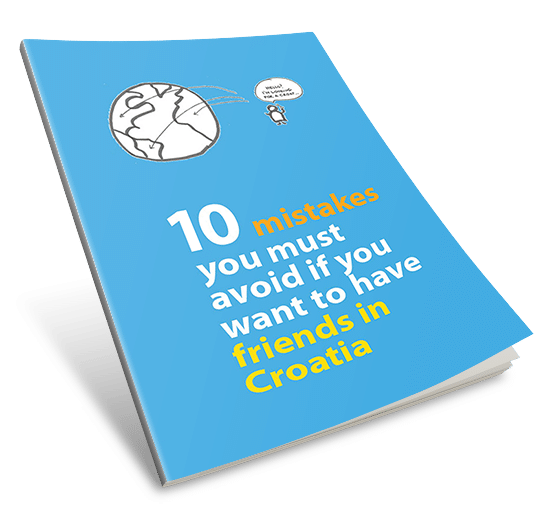 It’s not easy for a vegetarian to feel a sense of belonging in a heavy meat nation such as Croatia. Food-sharing occasions where you’re constantly singled out abound. But local cuisine consists of more than the ingredients we eat. There’s a way to improvise around the menu and still share the ritual of eating. 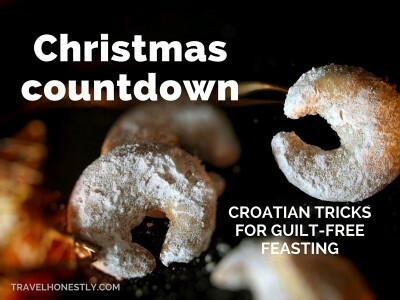 So, don’t skip on the Croatian barbecue. Bring a salad or side dish you can eat. Pounce on the grilled veggies. Even though you want to be a vegetarian, Make sure you have enough protein otherwise your skin will be paled. your face will lose it’s natural glow and look very dull. –very sickly looking. Why wouldn’t you just bring your own tofu, seitan, soy burgers or something to grill and grill it before meat? Hello, Having been vegetarian since 1969, got used to all the arguments and concerns that such life choice may bring. My love of summer parties that may involve a barbecue is greater than my wish to avoid the carnivores, I do live with four non vegetarian dogs and a cat after all. So I agree that the positive attitude is important. I bring with me some nice food that everyone may like to eat like salads, vegetable pies, a dessert..and I do share a drink with my friends as well. So until better times, when, as Leonardo da Vinci said, “the murder of animals is going to be looked upon in the same way as the murder of people”, we vegetarians can subvert the carnivore cause with the love that we put into our delicious recepies that we bring to share at the parties..have fun..
As a fellow plant-eater, I hear you sister! 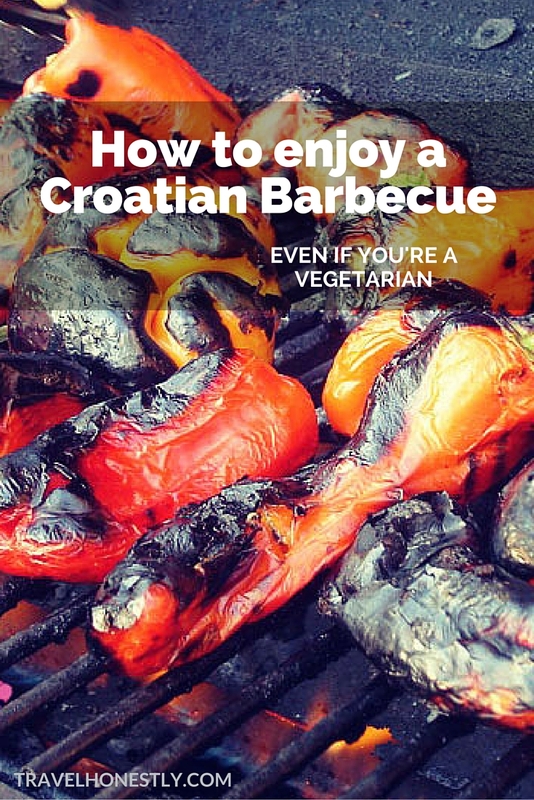 Loved this post because we were invited to our first Croatian BBQ a couple of weeks ago and it is exactly as you described: tons of meat, a bit of veggies, a jar of Ajvar. All cooked in our host’s backyard using wood (“wood is the best” said our Croatian host). Spanky doesn’t eat meat so they cooked some fish as well which she was the only one to touch. Otherwise all sausages, pork, and chicken. We also brought some potato salad which ended up being very popular because otherwise just had grilled eggplant and bread. Meat definitely the center of attention. Spot on with your post, you made me relive our BBQ! Was a great time. Haha – I’m so glad you enjoyed the post. Wishing you many happy Croatian BBQs and for Spanky to score that fish more often!